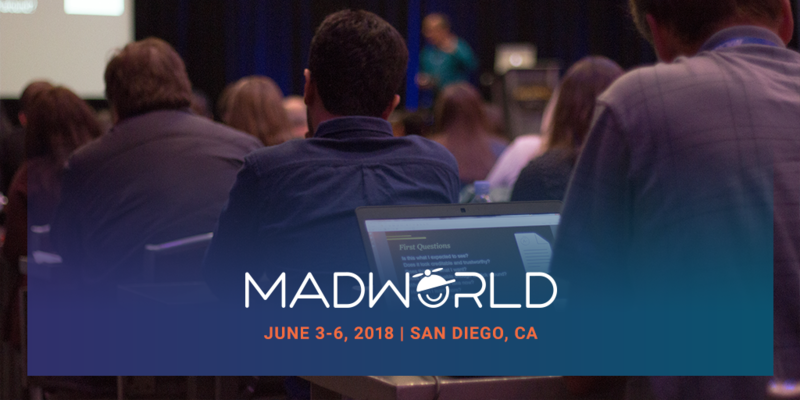 In just three short weeks, industry professionals in technical communication and content strategy will gather in sunny San Diego for the annual MadWorld conference. The premier conference is the setting for the largest gathering of MadCap Flare users, creating an ideal opportunity to network and share tips with like-minded individuals. And with speakers covering sessions on a wide range of topics, attendees will leave with a wealth of knowledge and inspiration to take their projects to the next level. Our speaker highlight series showcases some of the top experts speaking at MadWorld, and we’re excited to be able to have Patrick Calnan share his insights with the audience. If you need an in depth overview on accessible documentation, you definitely won’t want to miss his session. A self-professed MadCap Software “fanboy” (it’s his YouTube name), Patrick Calnan is a long-time user of MadCap Flare and other documentation tools and has worked as a technical writer for 20 years. He is currently a part-time Professor in Algonquin College’s Technical Writing program. Hi Patrick! We’re excited to have you back at MadWorld. Can you give us a preview of what you’ll discuss during your sessions? I’m really looking forward to MadWorld myself as it’s my personal favorite when it comes to technical communication conferences. For my presentations, I’m focusing on two areas where I think that my own experiences can help other writers. In the first, Generation Zero: How MadCap Flare Automation Can Make Your Life Easier, I’m presenting a case study on how I helped a previous employer greatly improve their processes by automating their documentation builds. It’s a solution that really allowed me to focus on my writing instead of some of the related activities to get the documentation published and I think other writers will find it a useful way to improve how they work with Flare. In my second presentation, Accessibility Matters: Creating Accessible Output with MadCap Flare, I’m focusing on the challenges faced by those users of technical documentation who may have accessibility issues. This doesn’t always apply to every segment of the private sector, but in my public sector work and my experiences with post-secondary education, I’m finding it increasingly common that I have to take accessibility into account with my technical writing. I think that this will be something that more and more writers will face in the future. If I can help shed some light on how Flare solves a lot of accessibility issues, I’ll hopefully make life easier for other technical writers. Can you give a brief explanation of why accessibility is important in documentation? I’ve been working in the technical documentation field for a while but it’s only been recently that I’ve had to take accessibility into account with my work. What I’ve been finding is that in addition to advancements in technology changing the way that we create and produce documentation, we’re also seeing an increasing diversification in the audiences that use it. This includes users with accessibility issues as the workplace becomes more open and supportive of those with challenges when interacting with traditional document formats. For some employers, providing information in an accessible format isn’t a luxury any longer; it’s the law as legislative standards can apply. Even if regulations may not apply to all industries, we’re going to be seeing greater and greater attention paid to this issue as the workplace evolves. What are the main challenges when creating documentation that is compliant with accessibility standards? The biggest challenge I found was in remembering to think about accessibility frequently while doing my work. It can be as simple as remembering to use styles and formatting that comply with accessibility standards but it can also involve thinking about this issue when planning and organizing how your information is structured. It’s something that you need to get used to as it’s a slightly different way of thinking about how you’re going to present the information to your audience. Once you develop the habit, it becomes easier as you continue to follow accessibility practices on a consistent basis. Can you share a Flare feature that has been particularly useful when creating accessible content? Flare’s accessibility warnings during the build process are a really handy way to catch anything that you might have missed. I enable this feature all the time now and it’s saved me on a number of occasions in catching content that isn’t accessible before I publish it. Is there anything you’re looking forward to at MadWorld 2018? In one word, the people. I’m going to name drop shamelessly here but the MadWorld conferences have become my most important professional development resource. I’ve learned so much from past presentations and I’m really looking forward to picking up on more tips and tricks this year. Thomas Bro-Rasmussen’s sessions are on my wish list, as are Scott DeLoach’s, Matthew Ellison’s, Paul Pehrson’s, and Neil Perlin’s just to name a few. It’s a bit of an embarrassment of riches as I want to see so many sessions but will have to pick and choose because of scheduling. The networking and professional connections are invaluable as I’ve been able to learn so much from the wealth of talent available at MadWorld. It’s going to be the highlight of my year and I can’t wait. For more information about MadWorld 2018, including the schedule, speakers and pricing, visit our MadWorld conference page. We hope to see you at MadWorld 2018!